Congratulations to the new Mr. & Mrs. Shores! Julie and Daniel were married this past saturday at the Drexelbrook. I am so happy for these two, they were such a pleasure to work with. I remember when Julie first contact me after the Drexelbrook's Bridal Showcase. When she mentioned that they were having a 20's/Gatsby theme, I nearly begged for her to give me a chance at designing her wedding invitation. I am in love with how they turned out, what do you think? 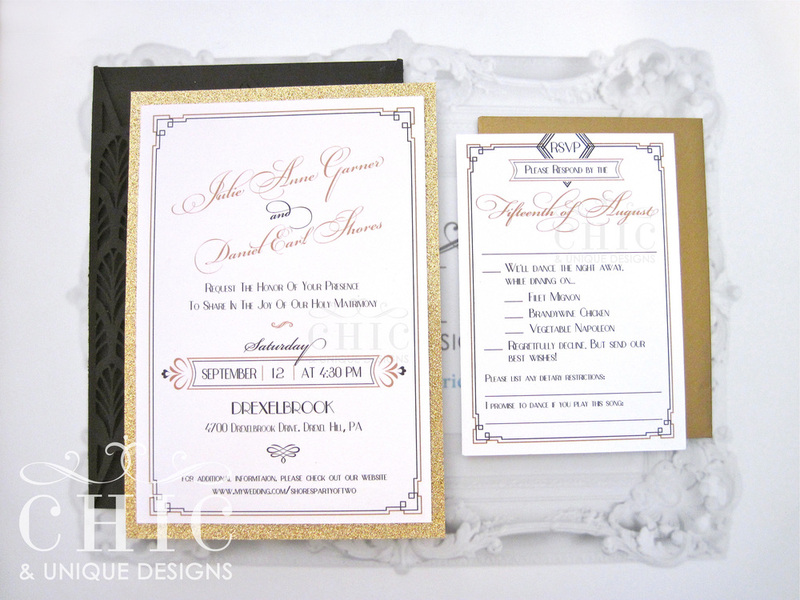 CHIC & UNIQUE DESIGNS: Gatsby theme wedding invitation. 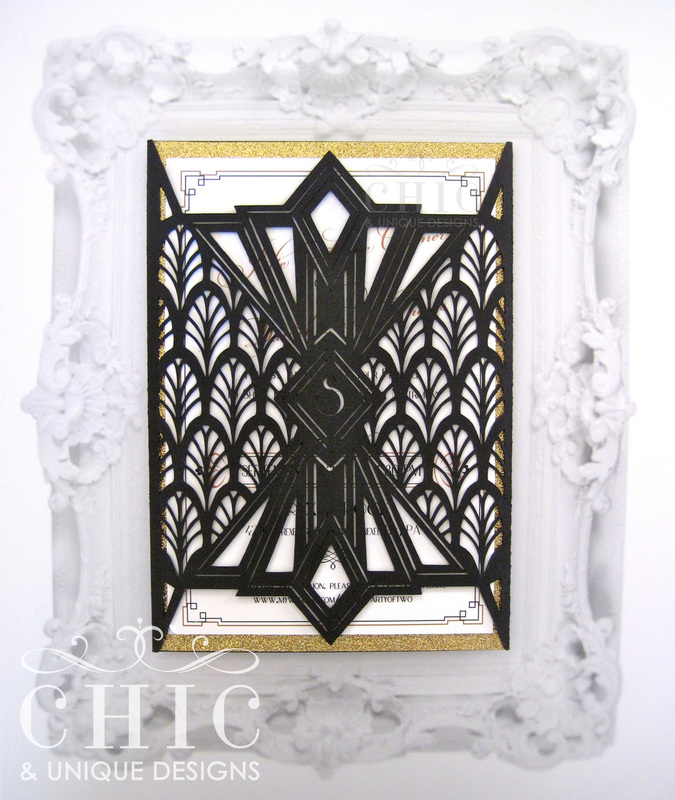 CHIC & UNIQUE DESIGNS: Gatsby theme wedding invitation in a custom die-cut sleeve. 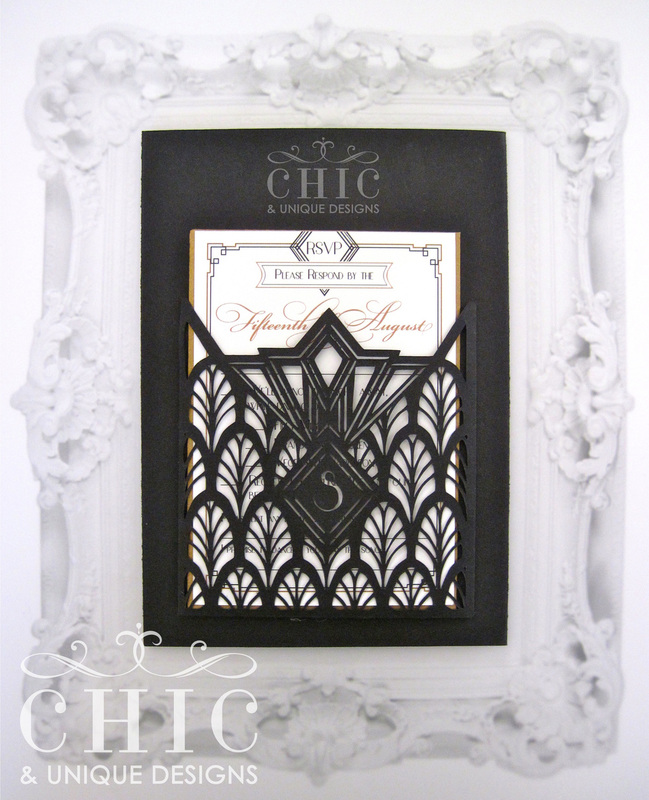 CHIC & UNIQUE DESIGNS: Gatsby theme response card shown in a custom die-cut pocket on back of the sleeve. How did I get so lucky as to do what I love? ...hmm?? It's thanks to the many people I've been fortunate to meet (and with a little push of encouragement from my love ones). I have been given the honor with the opportunity to create custom pieces that represent their special day.